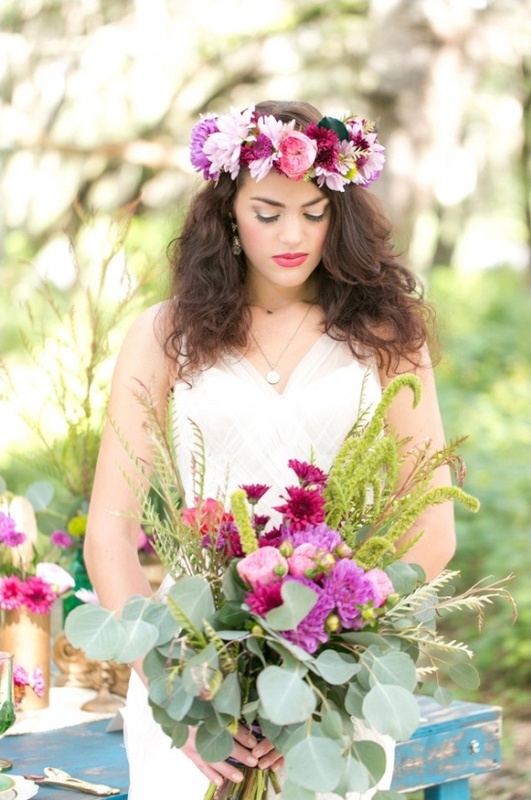 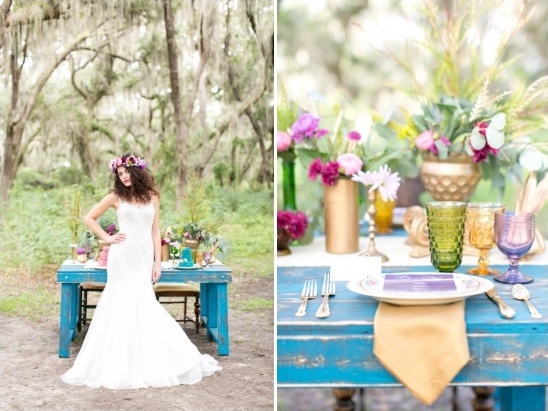 Boho and bright colors — a fabulous combination and the theme of our next wedding inspiration! 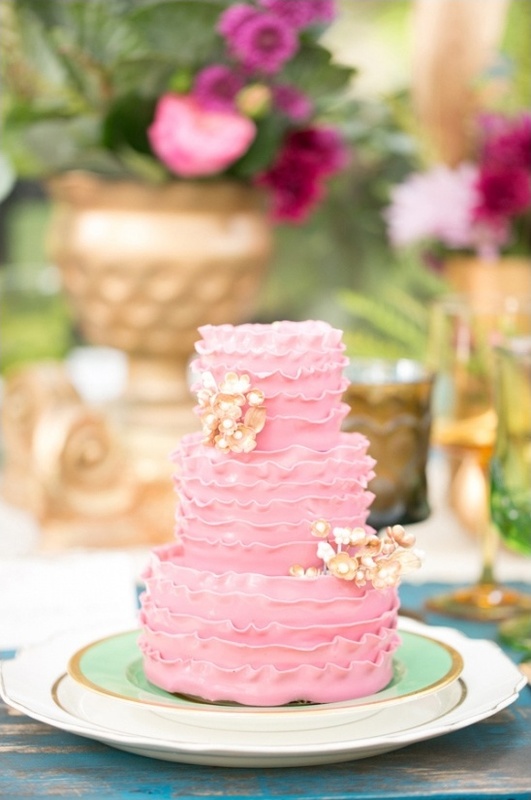 Peplum Events & Design teamed up with Amalie Orrange Photography, Solutions Bridal and so many other amazing vendors to create this amazing, colorful photo shoot. 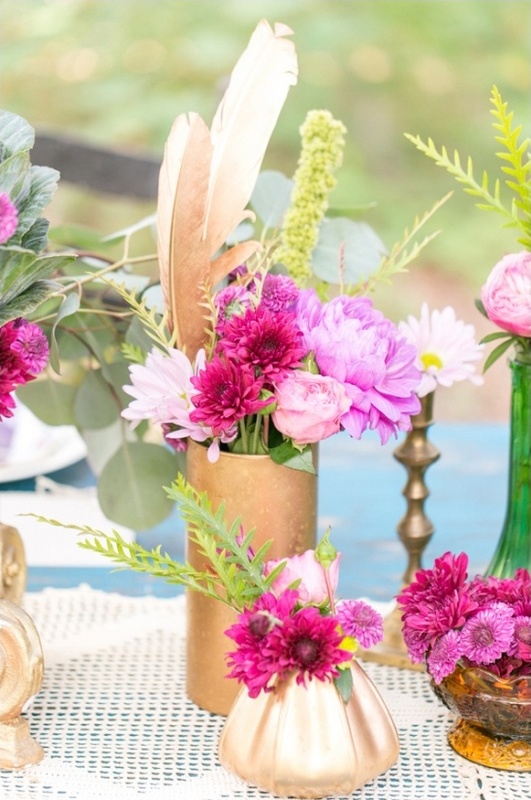 The bright pops of color in the florals, cakes and vintage decor stand out against the woodsy wilderness while touches of metallic gold glam up the whole bohemian vibe. 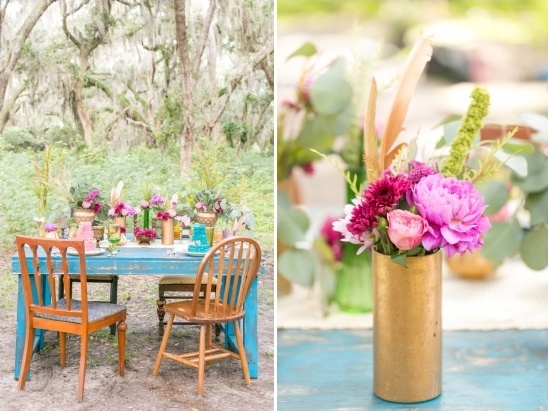 View more of these bright bohemian wedding ideas in the full gallery here, all beautifully captured by Amalie Orrange Photography. 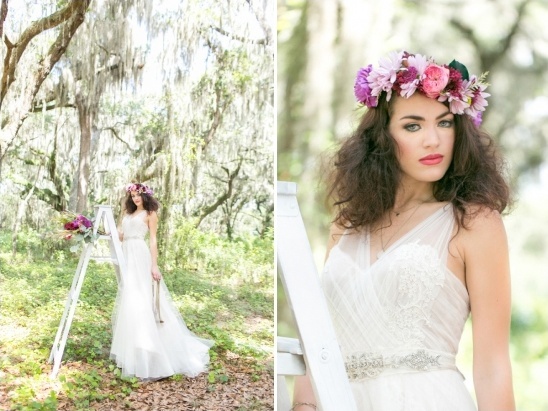 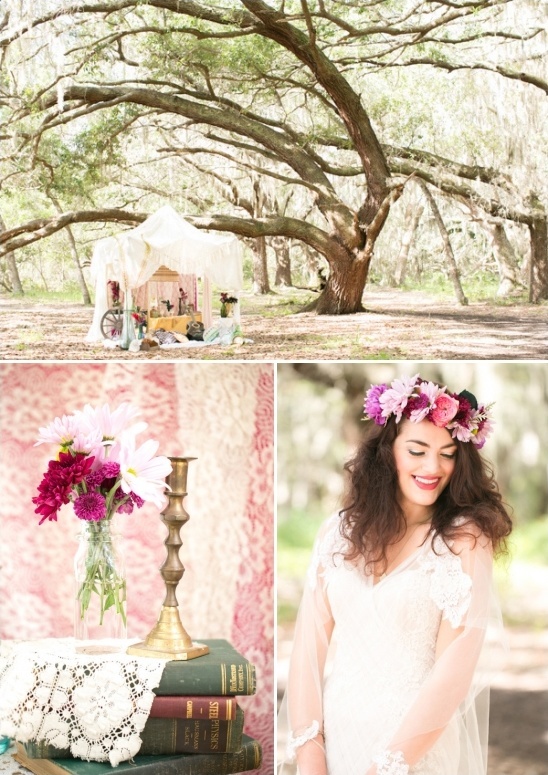 From Amalie Orrange Photography:Her vision of a bohemian bride, an enchanted forest, a gypsy styled tent and the outstanding vendors had my creative heart fluttering. 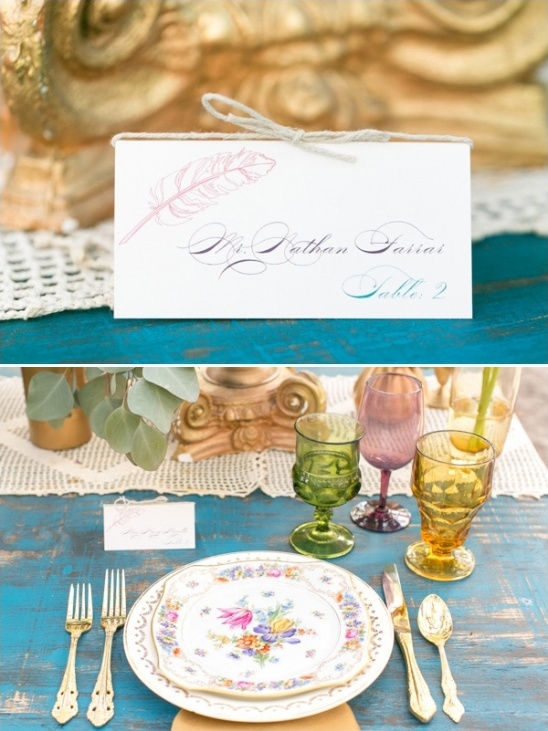 Most of my clients struggle to find a way to express their laid back personality in the formality of a wedding. 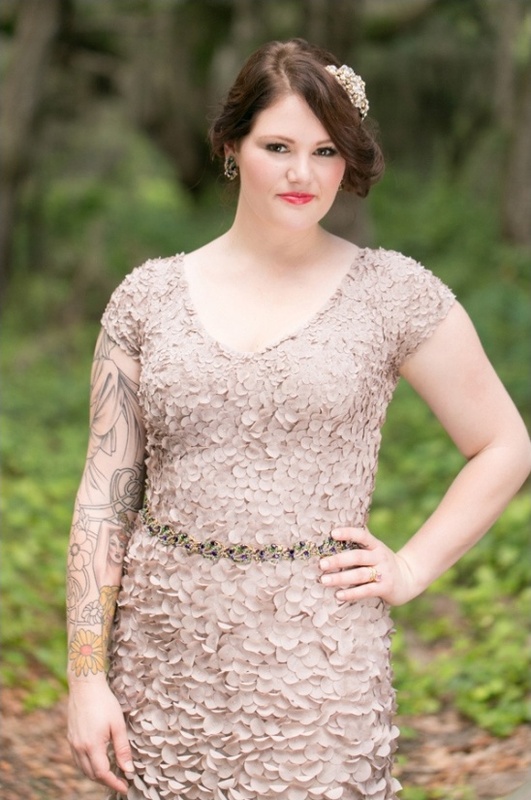 They want to command attention while still being true to who they are. 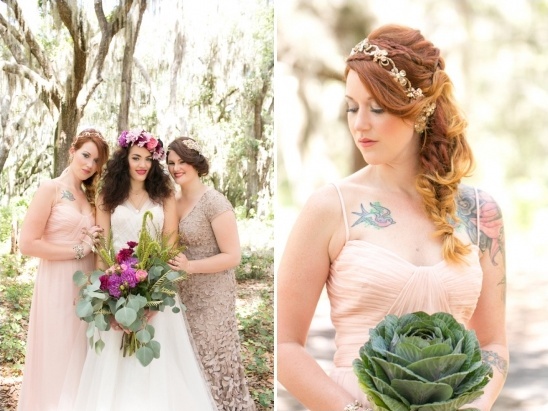 They want to love their photos forever without giving up who they are today. 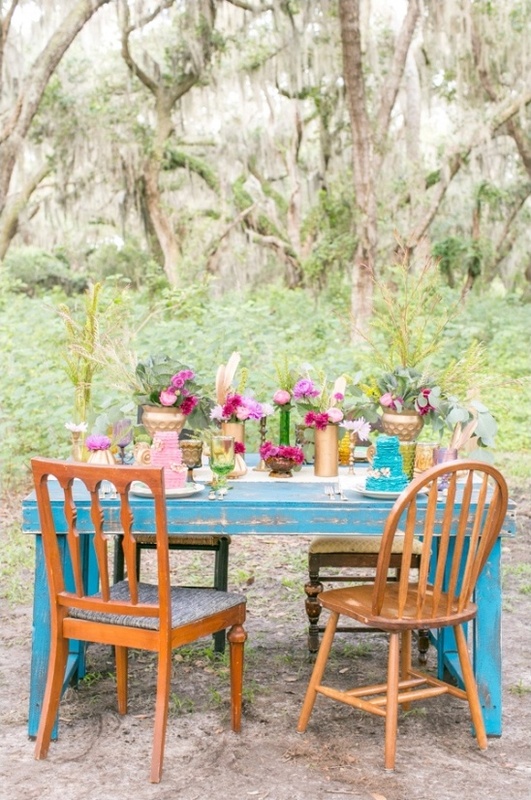 The inspiration for the shoot came from them and the desire to create a boho chic concept with bold glamorous details. 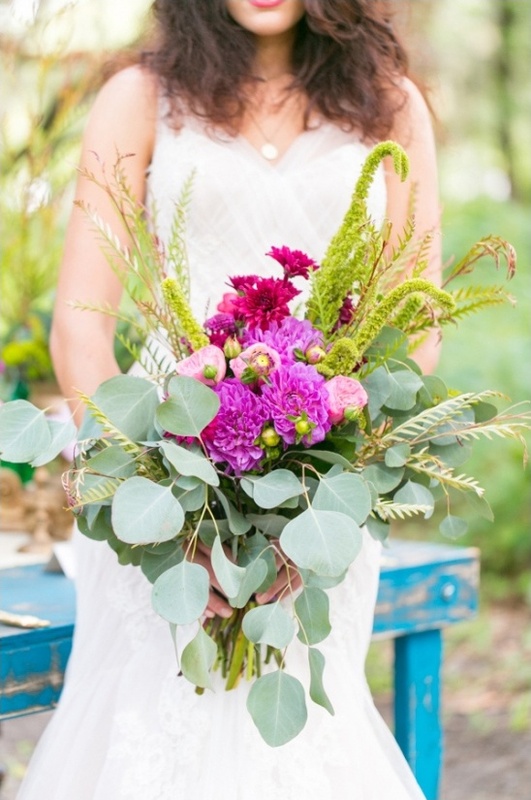 Besides the amazing team of wedding professionals, the reception tent is my favorite. 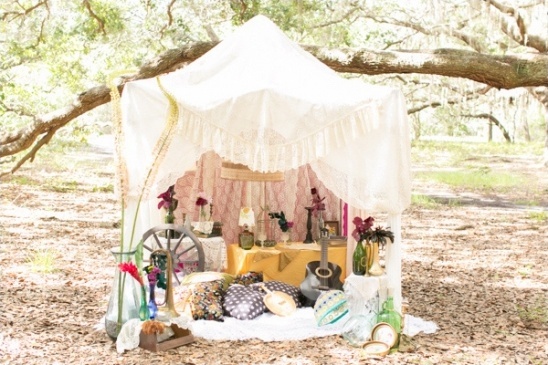 The tent is like a wedding dreamland. 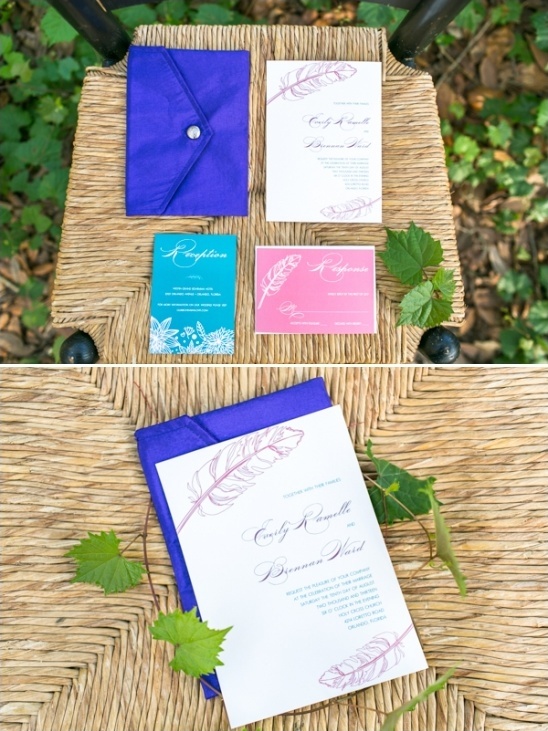 I would just want to curl up with my new husband and temporarily escape from the busyness of the wedding. 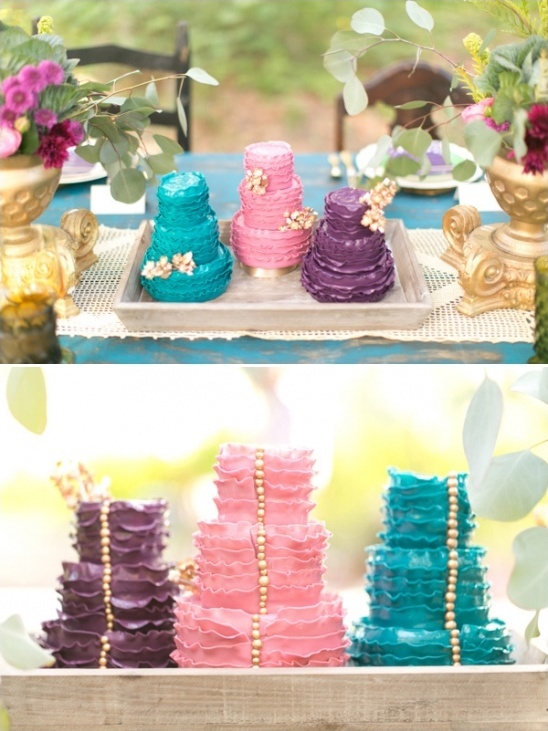 How dreamy do these wedding cakes look by The Sugar Suite? 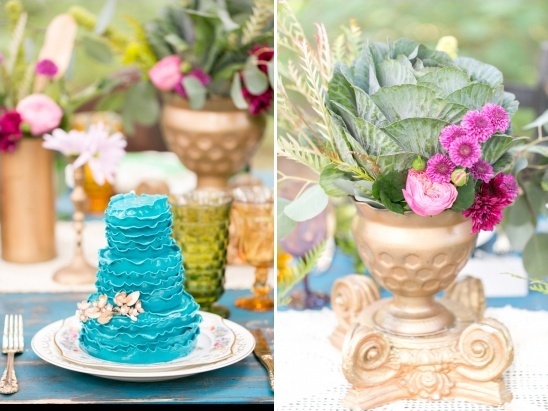 The bright blue and bright pink are so fun and poppy, a bright and beautiful addition to any wedding reception. 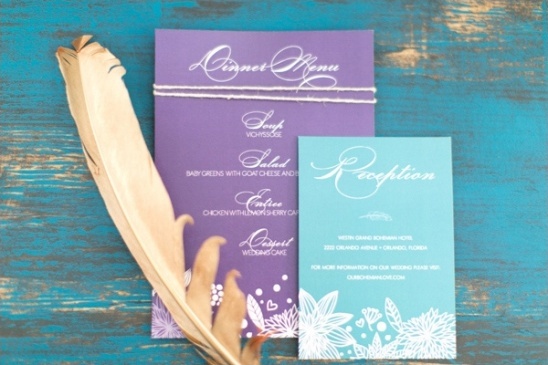 Get a behind the scenes look at this bright bohemian wedding inspiration in the film Imprint Cinema created below!